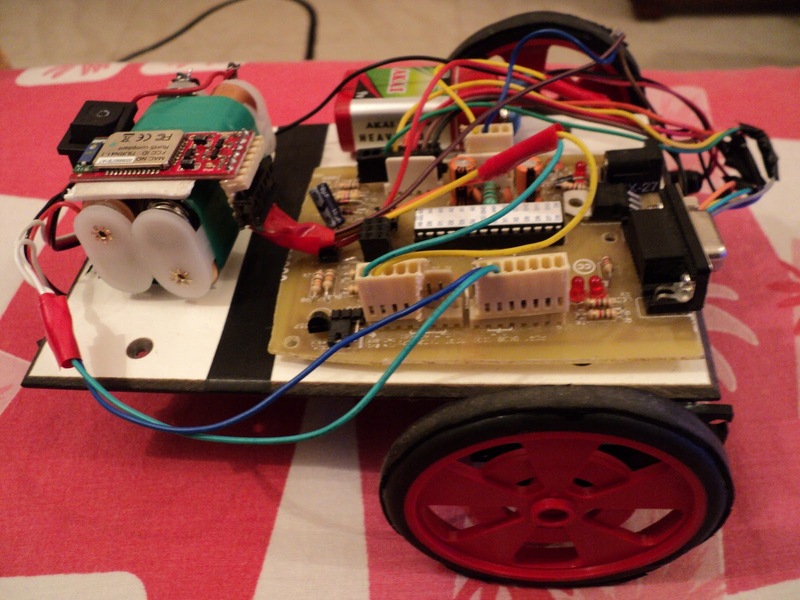 The main aim of this project is to control the robot direction through blue tooth module which is connected to PC USB port and monitor the area scanned by camera which is mounted on robot. These Bluetooth modules are more reliable, secure and low power modules and these modules do not require line of sight also. We can use mobile Bluetooth by developing some applications or we can use normal USB blue tooth dongles by connecting to PC. 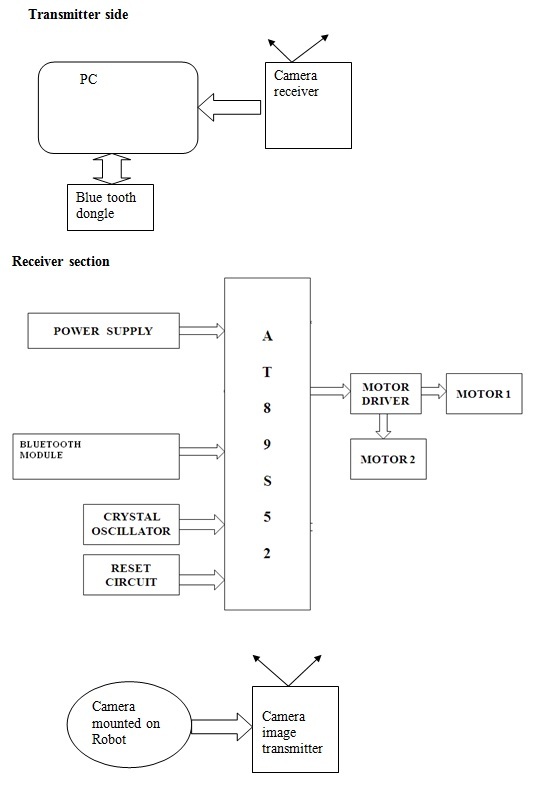 On the other hand, the receiver module receives the transmitted data and passes the data to the microcontroller. Thus, the microcontroller changes the direction of the robot according to the specified command. Since the microcontroller cannot drive the motors (used for robot) directly, L293D is used as a driver to provide the sufficient current required for the motors. The robot will be equipped with camera and its transmitter.. The output of the camera is given to the television where the entire view of the predefined location can be viewed all the time. Camera and image transmitter and receiver.